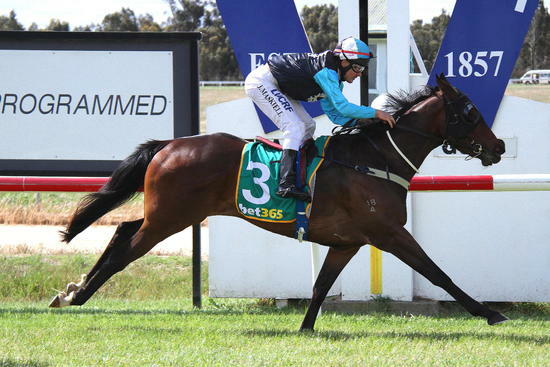 Forbid Me Not continues to build a nice little record with a win at Ararat on Sunday. From as little as 10 starts Forbid Me Not has won twice, placed on 4 other occasions and finished no worse than 5th in her career to date. It was a smart ride from Jason Maskiell from the awkward draw. She jumped away a little slowly but mustered quickly to cross the field and lead. Jason was able to give her a break around the corner & once straightened she kicked clear & was strong to the line. It was a great thrill for many of her connections that were there on the day.